Swollen feet are a common problem of diabetes; you can stay active and try other measures like massage to reduce swelling. But talk to your doctor first. About 16 million people in the United States alone are suffering from diabetes. When your body fails to produce enough insulin or your body loses its ability to use insulin normally, you develop diabetes. The pancreas produces insulin to help process the food you eat. This in turn helps produce energy for your body to carry out different functions. You experience a number of problems when you develop diabetes – it happens because the disease can disrupt the vascular system and affect the kidneys, eyes, feet, and leg. Other issues are also associated with diabetes. 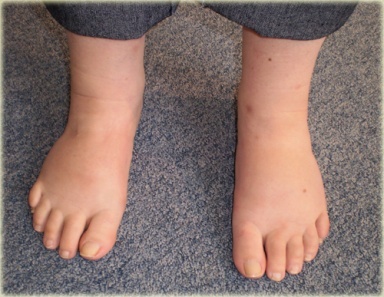 Swollen feet, for instance, are common for people suffering from this disease. What exactly is the connection? Let's find out now. How Does Diabetes Cause Swollen Feet? Diabetes can be divided into two categories – type 1 diabetes and type 2 diabetes. You develop type 2 diabetes when your blood sugar levels go up due to obesity or bad diet. This leads to several complications and most of these problems are associated with the feet. The reason is that diabetes can cause nerve damage, which in turn can affect the shape of your feet. The damaged nerves fail to send messages to your foot muscles, which leads to muscle weakness and imbalance. Overtime, the bones of your toes and feet may shift as well. Some people also develop a condition called Charcot's foot, which destroys the soft tissue and joints in the foot. During the early stages of Charcot's foot, you notice fluid collecting in your joints and your bones eventually slip out of place. Due to nerve damage, most people do not sense any pain and they continue to use the affected foot, which aggravates the problems. You may even cause further damage to the joints by keep walking on your affected foot. Some of the most common symptoms of Charcot's foot are swelling, red skin, warmth, and pain. You should not overlook these symptoms and talk to your doctor immediately who will treat the problem and make you use crutches for some time. With diabetes, swollen feet are common due to compromised circulation to the feet. Your blood circulation may become affected due to a condition called peripheral vascular disease. The condition leads to the narrowing of your arteries, which in turn restricts blood circulation to the lower part of the feet and the legs. In this case, any injury to your legs will not heal quickly because of a reduced amount of oxygen and nutrition supplied to the skin and tissues. Poor circulation may also be the underlying cause of dryness and swelling of the foot. Since poor circulation is likely to impair the healing process, it is therefore important to take special care of your feet. Be sure to see your doctor even if you think your injury is not that serious because even a minor cut can lead to infection, ulcer, and other serious conditions in no time for diabetics. When you have diabetes, swollen feet may make things quite difficult. It is therefore important to take steps to prevent swollen feet in the first place. Here are some steps to take. You should exercise regularly when you have diabetes because this improves joint and bone health in your legs and feet. Staying active will also help improve blood circulation and stabilize blood sugar levels. Just be sure to talk to your doctor before starting an exercise program. 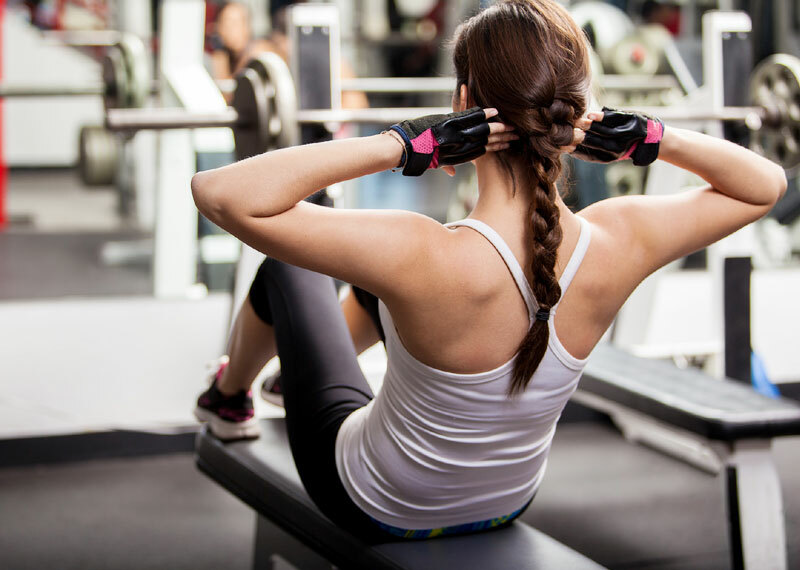 You may want to avoid rigorous exercise because it may lead to edema. To prevent swollen feet, it really helps to keep your feet elevated. All you have to do is place a pillow under legs to elevate your legs a bit for 10-15 minutes every day. This improves circulation and reduces swelling by draining out excess fluid. You really need to do something to improve blood circulation in your legs, and compression stockings really help in this case. By exerting pressure on the affected area, they prevent fluid retention by returning the fluid to the lymphatic system. Similarly, using compression bandages may also help improve circulation and prevent edema in the foot and calves. Having too much salt in your diet promotes fluid retention that can cause swollen feet. 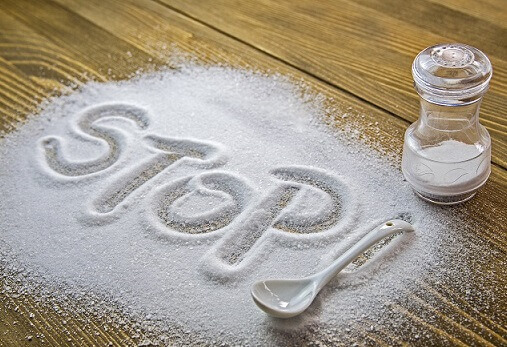 You should avoid high-salt diet and ensure you include low-sodium food in your diet. Eating high-salt diet also increases your risk of developing hypertension. Taking good care of your feet is important for diabetics, and one good idea is to wear comfortable shoes all the time. Wearing tight shoes may damage your feet and you may not notice them because you do not feel pain. Women should not wear high heels or they may develop circulation problems. Working with a podiatrist may help you find proper fitting shoes. Look for stores that specialize in shoes designed specifically for people with diabetes. When you have diabetes, swollen feet can be reduced with massage. The idea is to improve blood circulation in your legs and feet. You can massage your feet by yourself or work with an expert to improve circulation and reduce swelling. Never sit or stand for extended hours because it reduces blood circulation to the feet and causes swelling. When sitting, ensure that you do not keep your legs crossed because it restricts blood flow to the extremities. What Are Side Effects of Thyroidectomy and Complications? Can Goiter Be Treated Without Surgery?